There is a lot going on in New Jersey right now: the Bridgegate trial, casino expansion, questions about infrastructure and replenishing the Transportation Trust Fund, debates over minimum wage and pension fund payments, reassessment of school funding formulas, and November elections of our own … just to name a few. We here at the Rutgers-Eagleton Poll have been doing our best to cover many of these important issues in the Garden State; you can see our latest release on Gov. Christie and NJ issues here. But with the first 2016 presidential debate a little over an hour away, it’s a good time to take a look at how New Jersey voters feel about the race to the White House and the country as a whole. New Jersey has not been a swing state for quite some time, typically pretty solidly blue since the Clinton years (Bill Clinton, that is). On our latest poll, we asked New Jersey registered voters about who they would vote for if the election were held today – both with and without Johnson and Stein in the mix. When all candidates are included, Clinton leads by double digits: 50 percent to 29 percent for Trump, 6 percent for Johnson, and 4 percent for Stein. When those who picked someone besides the two main party candidates are asked to choose between Clinton and Trump, the results are slightly more in Clinton’s favor by a few points: 59 percent Clinton to 35 percent Trump. Even though Clinton leads, her favorability ratings continue to not be anywhere close to what they once were in New Jersey pre-2016. Nevertheless, she has regained some ground since spring, now at 44 percent favorable (up five points) to 47 percent unfavorable (down three points). Trump continues to do poorly in the state (though still slightly better than New Jersey’s own governor): 27 percent favorable to 66 percent unfavorable. New Jersey voters are somewhat split on the direction of the country: 43 percent say it’s going in the right direction, and 53 percent say it is off on the wrong track. Stay tuned to our Twitter account tonight for some more tidbits on how the 2016 race looks in the great Garden State! Click here to see a PDF of full results – questions and tables: Rutgers-Eagleton Poll 2016 Election Head to Head September Tables. Results are from a statewide poll of 802 adults contacted by live callers on both landlines and cell phones from Sept. 6 to 10, 2016, including 735 registered voters reported on in this release. The sample has a margin of error of +/-3.8 percentage points. Interviews were done in English and, when requested, Spanish. Reading, writing, ‘rithmetic … and the arts! We are “back in business” here at the Rutgers-Eagleton Poll!! After what has been a whirlwind summer for us, another semester has started here at Rutgers, and it’s an exciting time for the Rutgers-Eagleton Poll and the Eagleton Center for Public Interest Polling! I am honored and excited to now be at the helm of this 45-year operation, aka the oldest statewide university-based survey research center in the country. I have some big shoes to fill, but I am eager to do so and could think of no better way to start off our first poll of the school year with a subject that’s near and dear to my heart – arts education. Growing up in New Jersey, I was a theater kid, so I know firsthand how important the arts are to learning. I wouldn’t be where I am today without them. And almost all New Jerseyans know how important the arts are, too – 95 percent say arts education is somewhat or very important for K-12 students. But New Jerseyans aren’t matching feelings with actions: few participate in arts-supporting activities. Participation is limited among a few key groups, especially parents. Moreover, while a majority of New Jerseyans overall agree that there are enough opportunities for students to attend arts programs in their area, there are stark differences by key demographics. Socioeconomic factors like wealth and classification of school district influence the extent to which residents believe students in their area have enough access and opportunities to the arts. This release was done in partnership with the New Jersey Arts Education Partnership as part of their Arts Ed Now Campaign. See the full release and download here: http://eagletonpoll.rutgers.edu/rutgers-eagleton-nj-arts-education-partnership-arts-ed-now-sept2016/. NEW BRUNSWICK, N.J. – As the school year gets underway, New Jersey residents deem more than just “reading and writing and ‘rithmetic” valuable to a child’s education. Ninety-five percent believe an education in the arts – which can include dance, media arts, music, theater, visual arts, and other forms of active creative learning – is very (72 percent) or somewhat (23 percent) important for K-12 students, according to the latest Rutgers-Eagleton Poll. Just 5 percent say the opposite. Yet despite overwhelming agreement that the arts are essential, sizable numbers of New Jerseyans do not participate in related activities that help to promote and increase arts education. More than half have not taken a child to a program or event, donated or raised money, volunteered, or shared something on social media related to the arts either at their local school or in their community within the past year. Almost half have not discussed arts programs or events with others, and four in 10 have not encouraged a child to participate in any way. Few have brought up the issue with figures like teachers, school administrators and elected officials or in settings like school or town meetings or on social media. Residents’ views on student access to arts programs and events in their local area are mixed. In terms of their local school, 28 percent of New Jerseyans strongly agree that students have enough arts opportunities, and another 26 percent somewhat agree; a combined 34 percent either somewhat or strongly disagree. In terms of their local community, 56 percent of New Jerseyans likewise agree that students have enough arts opportunities (29 percent strongly, 27 percent somewhat), whereas 31 percent feel just the opposite. Results are from a statewide poll of 802 adults contacted by live callers on both landlines and cell phones from Sept. 6 to 10, 2016. The sample has a margin of error of +/-3.9 percentage points. Interviews were done in English and, when requested, Spanish. Majorities across the board say that the arts are very important, though there is some difference in degree. Women are more likely than men to feel this way (80 percent to 64 percent), as are those residents who have completed some type of graduate school work (83 percent versus 70 percent of college graduates and 68 percent of those with some college or less). Urbanites are most likely to believe an education in the arts is very important (at 87 percent), while shore residents are least likely to do so (at 62 percent). Actively participating in arts-supporting activities is limited to particular groups, however. Twenty-two percent of New Jerseyans have not participated in any of the asked-about activities either at a local school or in their community; at the other extreme, just 8 percent have participated in all six activities in the past year. Being a parent or guardian has a big impact on participation. Most parents have encouraged a child to participate in or have taken a child to attend an arts program or event in the past twelve months, either at school or in their local community; most residents without children in the household have not. Those with children are also more likely than those without to have volunteered or raised money for an arts program in their local school or community, yet even a majority of this group has not participated in either activity. They are likewise much more likely to bring up the issue of arts education with school officials and at school meetings, but are no different from those without children when it comes to town meetings or talking to elected officials. Discussion with others and communication through social media about arts education is also more prevalent among parents. Age, income, education, and race all have a strong influence on participation. Younger and middle-aged residents who are near child-rearing age are more likely than others to participate in a variety of activities, both in school and in their local community; a majority of senior citizens consistently do not participate in arts-supporting activities. Participation also increases with income and level of education. Overall, those who are of prime parenting age, more affluent, and more highly educated tend to participate in not just one, but several of the asked about activities. While white and non-white residents have participated in comparable numbers of activities, they differ in the nature of their participation: non-white residents are less likely than white residents to say they have taken their child to a program or event, discussed arts programs and events with others, or brought up the issue of arts education at school meetings. Women are slightly more likely than men to say they have brought up the issue of arts education at a school meeting, while men are slightly more likely to say they have brought up the issue with an elected official. The classification of one’s local school district (commonly referred to as District Factor Groups, or DFGs) and the state school aid one’s district has received also have some impact on participation, yet only when it comes to speaking up about the arts within the past year, either to school officials or in school or town meetings. For the most part, residents are similar in their participation habits – and the number of activities in which they partake – across school district types. Whether or not New Jerseyans believe students in their area have enough opportunities to attend arts programs and events varies across key demographics. Democrats, women, non-white residents, those in lower-income households, those with less education, and those in urban and southern areas of the state are all less likely to agree that students have enough access to arts programs in their local school. Virtually the same pattern holds when it comes to arts access within the local community. Age is also a factor for both areas. Belief that students do not have enough opportunities sharply increases with amount of state school aid funding and district classification. Residents who live in the poorest school districts (classified on the DFG scale as “A” or “B”) are less than half as likely as those who live in the wealthiest districts (classified as “I” or “J”) to believe students in their area have enough arts opportunities in schools (38 percent agree versus 78 percent agree); they are similarly much less likely to feel the same about their community (43 percent agree versus 71 percent agree). Likewise, less than half of those in school districts who receive the highest levels of state funding (which tend to be the poorest districts) agree that there are enough opportunities either through school or the surrounding community. 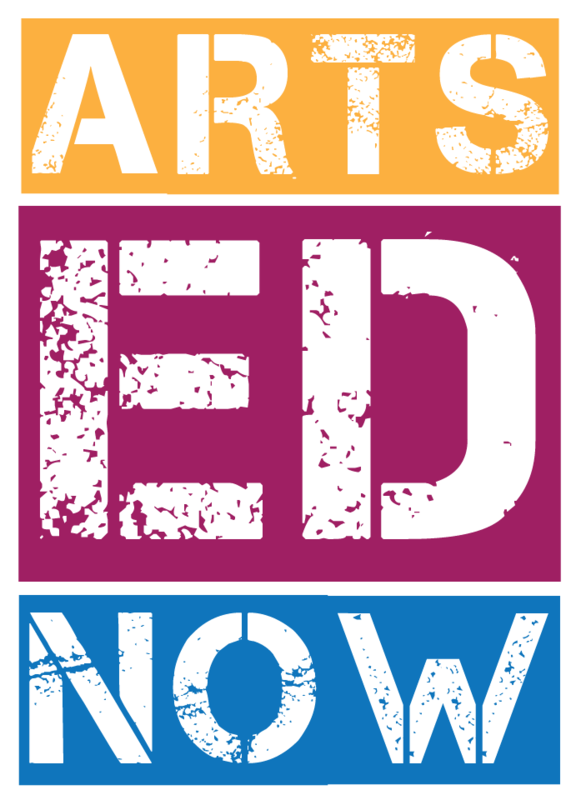 Arts Ed Now is a statewide campaign to increase active participation in arts education in all schools in New Jersey. Studies show that students who participate in arts education do better in school and in life. Unfortunately, not all NJ students have the access or information to increase their participation in arts education. The Arts Ed Now campaign identifies ways to increase participation in arts education and garner public support to put a spotlight on the issue – and is designed to be customized at a local grassroots level for more impact. The “Campaign Central” website www.ArtsEdNow.org features stories, tools and ways for citizens to become better ambassadors – together. Arts Ed Now was initiated by New Jersey Arts Education Partnership (NJAEP), NJ State Council on the Arts, the Geraldine R. Dodge Foundation, and Americans for the Arts and now includes hundreds of organizations and individuals across New Jersey. The New Jersey Arts Education Partnership (NJAEP) is the unified voice for arts education in New Jersey. NJAEP was originally founded in 2007 as a cosponsored program of the New Jersey State Council on the Arts, with additional support from the Geraldine R. Dodge Foundation, New Jersey Department of Education and Music for All Foundation. Additional support has been provided by the Prudential Foundation, and ArtPride New Jersey Foundation. The mission of the NJAEP is to provide a unified voice for a diverse group of constituents who agree on the educational benefits and impact of the arts, specifically the contribution they make to student achievement and a civilized, sustainable society. Additional information is available at http://www.artsednj.org. David Redlawsk was Director of the Eagleton Center for Public Interest Polling for 7 years. As of August 1, 2016, he is James R. Soles Professor and Chair, Department of Political Science and International Relations at the University of Delaware. As was announced last month, I am leaving Rutgers to head to the University of Delaware. This means I am also leaving the Directorship of ECPIP, home of the Rutgers-Eagleton Poll. While ECPIP is much more than the poll, that’s what has defined us since it started in 1971. This is not surprising, since the Poll is the most public part of what we do. As one of the (if not THE) oldest academic-based state-focused survey research centers in the country, ECPIP has provided a wealth of information to the public about just what’s going on in the Garden State. As you can see on the ECPIP website, there is even an archive of Rutgers-Eagleton Polls, available to anyone interested, and going back to the very first one. Granted, the archive interface reminds one of the early 1990s web, but the data behind it are incredibly useful. So this is my last post on our blog. We started the blog a few months after I arrived in 2009 as a way to communicate our findings to the broader public. Since that time ECPIP, under the direct efforts of first Mona Kleinberg (now at UMass Lowell) and then Ashley Koning (now ECPIP’s Interim Director) ECPIP has branched out into social media on Twitter and Facebook, and this blog has become mostly a place where press releases are posted. But I think it has served a useful purpose. As I sign off from ECPIP, I have to thank Mona and Ashley and so many other graduate and undergraduate students who have been the backbone of the poll, and of whom we’ve all been so proud as they played a key role in keeping us going. While there are too many to name here, the current staff can be seen at the ECPIP website. I also have to thanks Bill Valocchi, who served as our Field Manager for several years and organized the call center, and Debbie Borie-Holtz, who continues as ECPIP’s special projects manager. Both were critical to whatever success we have had. And a special mention to now Rutgers graduate, and NORC staff member, Liz Kantor, who as an undergraduate became our statistician, among many other roles. I am so lucky to have had the opportunity to lead ECPIP and the support from Ruth Mandel, the Eagleton Institute’s Director, and John Weingart, Associate Director for the Institute. Coming to Eagleton was a special privilege since it also was a return to the University and Department where I had completed my Ph.D.
We had our ups and downs over the past seven years, but who hasn’t? I like to think that our team revived the Rutgers-Eagleton Poll in very challenging times and again positioned it as an important source for New Jersey and the nation in understanding what’s going on in this interesting state. Perhaps I am lucky that my time has overlapped the two terms of Chris Christie, which meant we never ran out of things to study and interest in what we had to say was often very high. In any case, while I had not anticipated leaving after only 7 years, the possibility of leading an academic department has always interested me. Political Science and International Relations at the University of Delaware is a vibrant department with a group of scholar/teachers engaged in fascinating research and top-notch teaching. I am looking forward to joining them, though the transition is bittersweet as I leave Rutgers. To those of you who have read our blog, or our press releases, or anything else we’ve done over the last 7 years, I say thanks. And I also say that in many ways the best is yet to come for ECPIP. I am thrilled that Ashley Koning is taking the helm; she will build the center in new ways that recognize the many changes happening in survey research and public polling. It should be an exciting time for ECPIP even as it is an exciting time for me as I get ready to move to the First State. NEW BRUNSWICK, NJ – The Eagleton Center for Public Interest Polling (ECPIP) at Rutgers University’s Eagleton Institute of Politics, which produces the Rutgers-Eagleton Poll, will be in new—but familiar—hands as of July 1, 2016. Ashley Koning, currently assistant director of the Center for Public Interest Polling, will take over as interim director of ECPIP when Professor David P. Redlawsk, director for the last seven years, leaves Rutgers to become the James R. Soles Professor and chair of the Department of Political Science and International Relations at the University of Delaware. A Ph.D. candidate in the Department of Political Science at Rutgers with concentrations in American politics, women and politics, and methodology, Koning served as acting director of the Rutgers-Eagleton Poll while Redlawsk was on leave in 2015. Koning is a rising scholar in the field and has co-authored multiple book chapters and papers on public opinion, issue framing, and survey experiments. Book chapters include: an analysis of public opinion during and after Superstorm Sandy and its implications for NJ Gov. Chris Christie in the new Rutgers University Press book, “Taking Chances: The Coast after Hurricane Sandy,” edited by Karen M. O’Neill and Daniel J. Van Abs, as well as a longitudinal study of Gov. Christie’s leadership and legacy in “The American Governor: Power, Constraint, and Leadership in The States,” edited by David P. Redlawsk. Koning has served for several years on councils for both the New York and Pennsylvania-New Jersey chapters of AAPOR (the American Association for Public Opinion Research) and on the national AAPOR membership and chapter relations committee, as well as both the AAPOR and AASRO communications committees. She was awarded the 2015 John Tarnai Memorial Scholarship by the Association of Academic Survey Research Organizations (AASRO) and has been the recipient of the AAPOR Student Travel Award, the first-ever AAPOR Student Poster Award, and the 2016 Burns “Bud” Roper Fellow Award. A Martinsville, NJ native, Koning earned her master’s in political science from Columbia University and a BA in government and music from Franklin and Marshall College. She now resides in Morristown. Cliff Zukin, professor of public policy and political science at the Edward J. Bloustein School for Planning and Public Policy and at the Eagleton Institute of Politics, will serve as a senior advisor to the Center. Zukin is a former director of the Center and former president of AAPOR. The Eagleton Center for Public Interest Polling (ECPIP), home of the Rutgers-Eagleton Poll, was established in 1971. Now celebrating its 45th anniversary and over 200 public opinion polls on the state of New Jersey, ECPIP is the oldest and one of the most respected university-based state survey research centers in the United States. ECPIP’s mission is to provide scientifically sound, non-partisan information about public opinion. ECPIP conducts research for all levels of government and nonprofit organizations with a public interest mission, as well as college and university-based researchers and staff. ECPIP makes it a priority to design opportunities for undergraduate and graduate students to learn how to read, analyze, design, and administer polls. To read more about ECPIP and view all of our press releases and published research, please visit our website: eagletonpoll.rutgers.edu. You can also visit ECPIP’s extensive data archive, blog, Facebook, and Twitter. Click here for a PDF of the release text, questions, and tables. NEW BRUNSWICK, N.J. – As Gov. Chris Christie’s top pick for president continues to climb in the polls, the governor’s own ratings have dropped to their lowest yet, according to the latest Rutgers-Eagleton Poll. Just 26 percent of New Jersey registered voters now have a favorable opinion of Christie – down three points since February. Sixty-four percent are unfavorable toward the governor, up five points since February and now at its highest point yet since Christie first took office. Christie’s favorability continues to drop among his own party base: 56 percent of Republicans feel favorable toward the governor, a seven-point decline since last polled two months earlier, while 34 percent say they are unfavorable. Independents and Democrats continue to be mostly unfavorable, at 63 percent and 87 percent, respectively. Voters are kinder in their ratings to U.S. Sen. Robert Menendez than they are to Christie, even in the face of Menendez’s ongoing federal indictment: while only 29 percent are favorable toward the senior senator, just 32 percent are outright unfavorable, and 39 percent have no opinion. Not even Republicans reach a majority in their opposition to Menendez, a stark contrast to the nine in 10 Democrats who feel the same about Christie. Voters are most positive toward U.S. Sen. Cory Booker: 48 percent are favorable, 23 percent are unfavorable, and another 30 percent have no opinion. Sixty-four percent of Democrats, 47 percent of independents, and even 26 percent of Republicans like Booker. When voters are asked to justify their ratings on the governor, favorable and unfavorable voters alike point to Christie’s character, his overall job as governor, and his honesty (or lack thereof). Among those favorable, 35 percent like him because of the overall job he is doing, 16 percent mention something about him being honest and trustworthy, 13 percent point to his character and attitude, and 11 percent reference his policy decisions. Among those unfavorable toward him, 15 percent point to his character, personality, or attitude as the main reason behind their negative rating; another 7 percent specifically say something about his confrontational, bully-like persona. An additional 15 percent cite Christie’s overall job as governor and governing style. Fourteen percent say he is dishonest and untrustworthy. Other negative reasons include his lack of care for New Jersey (9 percent), his handling of education in general and teachers specifically (8 percent), his policy decisions and actions (7 percent), his ineffectiveness (6 percent), and his handling of unions and state workers (4 percent). Just 3 percent mention something about his support for Donald Trump as a reason for their unfavorable rating, as do another 3 percent about Christie’s role in the 2016 presidential election, in general. Christie’s overall job approval has likewise taken a hit: 31 percent approve (down six points) to 63 percent disapprove (up three points). Christie fares no better on a variety of individual issues. The governor falls to new lows on Superstorm Sandy recovery (43 percent approve, 47 percent disapprove) and education (31 percent approve, 60 percent disapprove). He continues to do worst on fiscal issues like the state pension fund situation (18 percent approve, 62 percent disapprove), the state budget (26 percent approve, 57 percent disapprove), and taxes (26 percent approve, 64 percent disapprove). Christie also fares poorly when it comes to transportation and infrastructure (28 percent approve, 59 percent disapprove) and the economy and jobs (31 percent approve, 59 percent disapprove). Voters are split on how Christie is handling crime and drugs (41 percent approve, 42 percent disapprove). As with their views of the governor, voters remain mostly negative about the state’s overall direction: 31 percent continue to believe New Jersey is headed in the right direction, while 60 percent say the state has gone off on the wrong track. About six in 10 voters have consistently said the state is off on the wrong track since April 2015. Taxes persist as the most important problem in New Jersey (now at 26 percent), consistently taking the top spot over the economy and jobs since October 2014. Results are from a statewide poll of 886 adults contacted by live callers on both landlines and cell phones from April 1 to 8, 2016, including 738 registered voters reported on in this release. Interviews were done in English and, when requested, Spanish. More on Trump in the Garden State … How Does He Make Voters Feel, and Why? Note: This Rutgers-Eagleton Poll overlapped the Wisconsin primary on Tuesday, April 5. NEW BRUNSWICK, N.J. – Donald Trump may be the GOP frontrunner in New Jersey, but the real estate mogul provokes some strong negative reactions from many registered voters in the Garden State, according to the latest Rutgers-Eagleton Poll. In particular, 61 percent of voters say Trump makes them feel angry because of “the kind of person he is or something he has done,” while 57 percent say he makes them feel afraid. Nearly half – 45 percent – feel contemptuous when they think of Trump. On the positive side, just 37 percent say Trump makes them feel hopeful and 34 percent, enthusiastic. Positive and negative feelings toward Trump are clearly related to overall favorability toward the businessman; 30 percent of voters have a favorable impression, while 62 percent feel unfavorable. Given a chance to explain their assessments, Trump’s supporters and detractors alike make statements about the kind of person Trump is and his beliefs as key reasons. Among those voters who are favorable toward him, 19 percent like Trump because of his policy positions, 18 percent because he is a political outsider, and 10 percent because they believe he is a good businessman. Among his detractors, 31 percent mention something about his character, personality, or attitude, and 11 percent say their dislike stems from his policy positions and beliefs; another 9 percent are unfavorable because they believe Trump to be racist. Over half of voters (55 percent) say Trump generally goes too far in some of the things he says; but three in 10 believe he is simply saying out loud what other people are already thinking. Just over one in 10 think it is a little of both. Results are from a statewide poll of 886 adults contacted by live callers on both landlines and cell phones from April 1 to 8, 2016, including 738 registered voters reported on in this release. The registered voter sample has a margin of error of +/-4.0 percentage points. Interviews were done in English and, when requested, Spanish. Support – or lack thereof – for Trump affects feelings toward the GOP frontrunner. Republicans are by far the most hopeful (72 percent) and enthusiastic (63 percent) about the entrepreneur; but still a third of GOP members feel anger, fear, or contempt when thinking about him. Democrats, of course, show the opposite responses: 81 percent say Trump makes them feel angry, 76 percent afraid, and 59 percent contempt. Independents, whom many think hold the key to any general election, are more like Democrats than Republicans in their emotional reactions to Trump. While more hopeful (39 percent) and enthusiastic (35 percent) about him than Democrats, the large majority does not express positive emotions; 59 percent feel anger and 56 percent feel fear as a response to the GOP frontrunner. Contempt is felt by 43 percent of independent voters. While voters of both genders have mostly negative feelings toward Trump, women are more likely than men to feel negative emotions toward him; men are more likely than women to feel positive ones. The other 2016 candidates pale in comparison to Trump when it comes to igniting strong feelings from voters. Texas Sen. Ted Cruz provokes little emotion in either direction. About a third of NJ voters feel anger, fear, or contempt toward him. Cruz inspires even less hope and enthusiasm than Trump – at 23 percent and 15 percent, respectively. Not even a majority of his own party base feels hopeful or enthusiastic about him, nor are his detractors especially negative toward him. On the Democratic side, former Sec. of State Hillary Clinton receives the most anger from voters, but falls far short of Trump’s numbers: 48 percent say she has made them angry. Thirty-five percent feel afraid about Clinton, and 39 percent feel contempt. Of course, Clinton especially sparks negative feelings among Republicans: 77 percent say Clinton makes them feel angry, 56 percent afraid, and 60 percent contempt. Even 53 percent of independents feel angry thinking about Clinton. Similarly, men, more than women, express anger (56 percent versus 41 percent) and contempt (45 percent versus 34 percent) about Clinton. Democrats are the most positive about Clinton; 70 percent say Clinton makes them feel hopeful, and 60 percent say she makes them enthusiastic. Vermont Sen. Bernie Sanders provokes much more hope (53 percent) and enthusiasm (43 percent) than Clinton among voters overall (39 percent and 32 percent, respectively) but only slightly more than his competitor among the Democratic Party base (76 percent feel hopeful, 62 percent enthusiastic). Sanders even makes more than half of independents hopeful, while inspiring limited negative feelings among Republicans. Those angry with or afraid of Trump on the Republican side are much more likely to want Ohio Gov. John Kasich as their nominee, while those on the Democratic side who feel this way are torn between Clinton and Sanders. Republicans who are angry with or afraid of Clinton overwhelmingly want Trump to get the nomination, while angered Democrats choose Sanders. Why (or why not) Trump? Love him or hate him, Trump’s policy positions and personality loom large when voters explain their views; his stances and beliefs take the top spot among those favorable toward him and the second spot among those unfavorable. But Trump’s supporters and detractors have distinctive reasons for their feelings toward the candidate. Besides his policies, anti-establishment persona, and business acumen, those who like Trump cite his “tell it like it is” attitude (9 percent), his honesty (8 percent), ability to bring about change (7 percent), overall character (7 percent), and how he will “make America great again” (5 percent). Trump’s policy positions are the number one factor among Republicans who like him, while his outsider status ranks highest among his independent supporters. Most voters who oppose Trump do so because of his character; as one voter puts it, he is “all ego and no substance.” To a lesser extent, they mention his issue positions and beliefs, including his “lack of consistency” on them and his inability to “defin[e] clear, intelligent policies.” A number call him racist (9 percent) and mention his outspoken nature (7 percent) as reasons for their dislike. “He speaks without thinking,” said one voter. Voters also say he is unqualified (7 percent), dishonest (6 percent), and an entertainer who is inexperienced in politics (5 percent). Another 3 percent each say their disapproval stems from a belief that he will ruin the county and that he is sexist. Telling it like it is? Typical Trump supporters are more likely to believe he is simply saying out loud what others are thinking, while those against the GOP frontrunner believe he goes too far in what he says on the campaign trail. Democrats (at 69 percent) overwhelmingly feel Trump goes too far, as do over half of independents. Republicans are more supportive of their candidate: 46 percent of this group believes Trump is simply saying out loud what others are thinking, while 38 percent feel he goes too far. While men and women both think Trump goes too far with his rhetoric, women are much more likely to feel this way than men (61 percent versus 48 percent); men are somewhat more divided (38 percent believe he is just saying out loud what others think, compared to 25 percent of women). White and non-white voters also similarly believe Trump goes a step too far (at 56 percent and 54 percent, respectively). The Eagleton Center for Public Interest Polling (ECPIP), home of the Rutgers-Eagleton Poll, is excited to announce its first collaboration with the New Jersey Health Care Quality Institute (NJHCQI) – a poll on end-of-life care preparation and awareness prior to National Health Care Decisions Day this Saturday, April 16. Much like some of NJHCQI’s past polling, we once again see that New Jerseyans are thinking and talking about end-of-life plans, but they continue to take little action on them. Few have written their preferences down somewhere, and few know about the variety of options available for end-of-life care and treatment. We of course see some important demographic differences in preparation and awareness – age being the biggest factor – but these latest results show us that there is still much educating to be done among the entire public on this issue. NEW BRUNSWICK, N.J. – In advance of National Health Care Decisions Day on April 16, more than six in 10 New Jerseyans say they are mostly comfortable with getting older and have even thought about and discussed their wishes for medical treatment near the end of their life. What residents are actually doing to prepare for this moment, and how familiar they are with important end-of-life care options, is another story, however. In the inaugural Rutgers-Eagleton/New Jersey Health Care Quality Institute Health Matters Poll, 61 percent of New Jerseyans say they are comfortable thinking about the idea of getting older; 19 percent are not comfortable with it but still think about it, and 17 percent would rather not think about it at all. A similarly solid majority has thought about their wishes for end-of-life care (33 percent have given some thought, another 33 percent a great deal), and 62 percent have had a conversation with someone about it in the event they become terminally ill or are suffering from a great deal of pain. But six in 10 New Jerseyans have not put their wishes in writing. And while most residents (78 percent) are familiar with hospice care and half (50 percent) know of the New Jersey State Advance Directive, far fewer recognize other crucial end-of-life care options like palliative care (45 percent), the living will advance directive “Five Wishes” (24 percent), or the Physician Orders for Life-Sustaining Treatment form known as POLST (27 percent). Results are from a statewide poll of 886 adults contacted by live callers on both landlines and cell phones from April 1 to 8, 2016. The sample has a margin of error of +/-3.7 percentage points. Interviews were done in English and, when requested, Spanish. As expected, age plays the most significant role in knowledge of and behaviors related to end-of-life care. While there are few differences among age groups in their feelings about getting older, actions like thinking about, talking about, and actually writing down plans for medical treatment in the event of terminal illness increase with age. Those 65 years and older are more likely to have done all three: 78 percent have given it at least some thought, 80 percent have had a conversation about it with someone, and 65 percent have written their wishes down. Senior residents also know the options available to them. Almost all know about hospice care (56 percent are very familiar, 33 percent somewhat), and a majority of this group is familiar with palliative care (28 percent very, 29 percent somewhat). Likewise, 72 percent are familiar with the New Jersey State Advance Directive. Yet even this group is unaware of Five Wishes or POLST; just three in 10 senior citizens have heard of either advance care planning document. Large majorities of 50 to 64 year olds have also thought and talked about their own end-of-life care (74 percent and 68 percent, respectively), but just under half have actually put down anything in writing. This group echoes the most senior residents in their awareness of what options are available. Middle-aged residents are less prepared than their elders, especially when it comes to talking about and writing down their wishes (at 55 percent and 26 percent, respectively). A majority of 30 to 49 year olds know about hospice care, but large numbers are unfamiliar with palliative care or any advance care planning documents. End-of-life care is far from the minds of millennials. Under half have given it much thought (just 16 percent say they have thought about it a great deal) or have talked with someone about their plans (45 percent). Only 17 percent have actually written something down. Sixty-three percent of 18 to 29 year olds are at least somewhat familiar with hospice, but few know about palliative care or other options. There are large racial disparities when it comes to end-of-life care. White residents are more likely than non-white residents to think about (70 percent to 61 percent) and talk about (73 percent to 46 percent) any end-of-life medical treatment plans. White residents are also more than twice as likely as non-white residents to have written something down – 49 percent to 23 percent – and are also more familiar with the various related actions and options. As for differences by gender, women are more likely than men, by double digits, to have had a conversation with someone about their end–of-life care wishes and to be familiar with hospice and palliative care. Women are also slightly more familiar with POLST, though a majority of both genders is unaware of this document. Marital status also has an impact: married residents have done more and know more about end-of-life care than those not currently married. Income disparities arise with regard to talking about and writing down wishes for treatment, as well as familiarity with hospice and palliative care; those in the most affluent households are the most prepared and the most aware. Education plays a similar role. There are even regional differences in preparation and awareness. Residents in the southern portion of the state near Philadelphia, an area that has a slightly larger portion of older residents than any other region, are more likely to have thought about, talked about, and written down end-of-life care plans, as well as to know about hospice, palliative care, and the state advance directive. Planning, action, and knowledge regarding end-of-life care go hand in hand. Those who say they are comfortable with getting older are more likely to have discussed and written down plans and also more likely to be familiar with advance care planning documents. Residents who have either thought about, talked about, or written down medical treatment preferences are all more likely to have also done the remaining two – as well as more likely to be aware of hospice care, palliative care, the state advance directive, Five Wishes, and POLST. In turn, those who have greater awareness of end-of-life care options and actions that should be taken are more likely to have already started preparing their own end-of-life care plans. The release of these results is in conjunction with a broader program established by the New Jersey Health Care Quality Institute called “Conversation of a Lifetime,” part of the Institute’s Mayors Wellness Campaign in partnership with the New Jersey State League of Municipalities. The program, funded by The Horizon Foundation of New Jersey, aims to change the culture around end-of-life conversations and advance care planning. As part of the program, community members in Tenafly, Princeton, and Gloucester Township have gathered in libraries, community centers, parks and places of worship to engage with one another and to listen to speakers explain how they can make sure that their wishes are followed in their final days. The New Jersey Health Care Quality Institute is the only independent, nonpartisan, multi-stakeholder advocate for health care quality in New Jersey. The Quality Institute’s mission is to undertake projects and promote system changes that ensure that quality, safety, accountability and cost-containment are closely linked to the delivery of health care services in New Jersey.